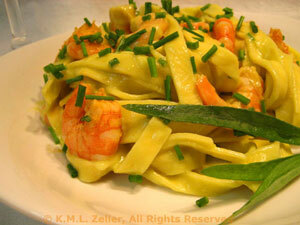 Grilled Shrimp and Avocado Pasta, Thyme for Cooking easy gourmet dinner. 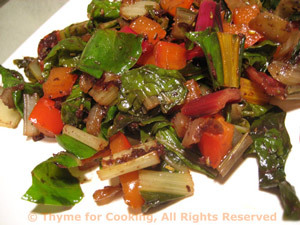 We're using the rest of the red pepper in the Chard. You can use any shape pasta you like for the Shrimp; I used fettuccini.